I build two models of acoustic guitars. The smaller is 15" across the lower bout and the larger 16". Both sizes produce a full, rich spectrum of sound with deep basses and strong trebles. My goal in every guitar is to produce the most complete instrument possible; one that is capable of both power and intimacy. I believe the guitar should be an extension of the player and as such be able to transparently express full emotion across a wide range of dynamics. While my guitars have a broad range of overtones and great articulation when played softly, they are also able to keep up when leaned into, with power and lots of headroom. Each guitar is custom built from start to finish to match the playing style, ergonomic needs, and aesthetic preferences of the client. I work closely with you leading up to and during the entire building process to make sure that the finished instrument is exactly as you desire. I have been a professional musician for over 15 years, and draw on that experience to communicate with you every step of the way on every aspect of your new guitar. My basic model is built with a master grade German spruce top that has been air dried for a minimum of ten years. 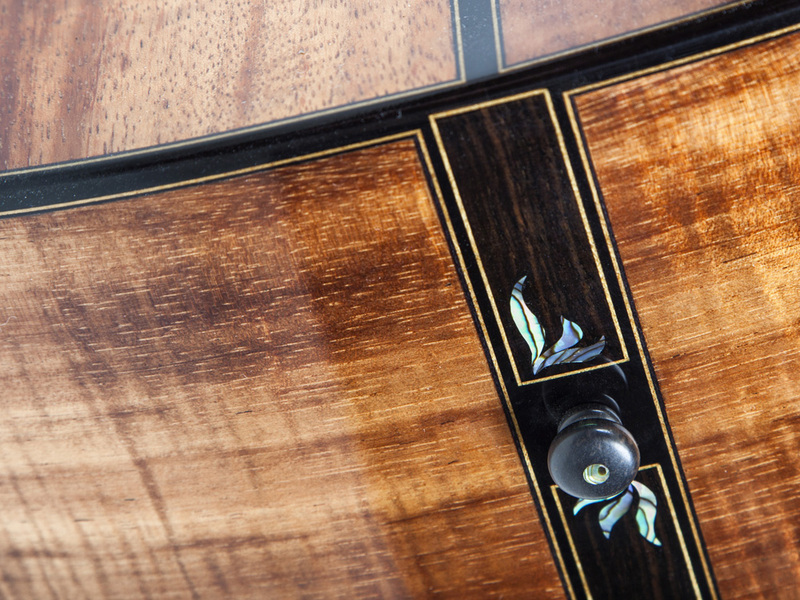 The back and sides are chosen from a selection of timbers including East Indian rosewood, Honduras mahogany, wenge, and Hawiian koa. 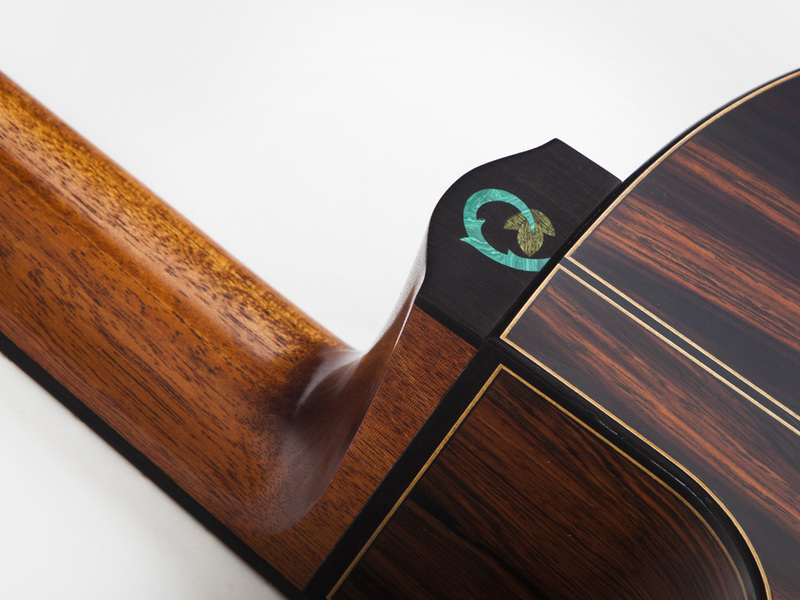 The neck is Honduras mahogany and the fingerboard is ebony or Madagascar rosewood, as is the bridge. Endless options are available for customization. Please look through the gallery to see past work, or contact me to discuss your idea.